You are needing your business cleaned, but are thinking that the hiring of a commercial cleaning service is outside your budget. You think maybe you will just delegate the janitorial work to your current employees instead. There are several reasons why this is a bad idea. The first and foremost thing to keeps in mind when delegating your janitorial needs to your current employees is that productivity will eventually begin to suffer. You are probably wondering how that would come about—in simple terms focus. Your employees were hired to a specific job—that of seeing to your client’s needs and keeping them happy. If something were to shift that focus, say the added extra job of janitorial work, then their productivity will begin to suffer. Low productivity can and will eventually cut into your bottom line. However, if you hire a commercial cleaning service, your employee’s focus can remain where it should be, and in the end, you will end up saving money, not losing it. With the hiring of a commercial cleaning service, you will be able to have peace of mind that your workplace is being kept in the cleanliest, more organized shape as possible. You can also rest assured that during those months when the flu and viruses are at their worst, your commercial cleaning service will also keep your workplace properly sanitized. With this attention to detail, you will not have to worry about as many sick employees calling in sick. This, in turn, will help to keep productivity up and the bottom line in good shape. The individuals hired at a commercial cleaning service are trained and instructed on the proper procedures in which to clean your workplace. 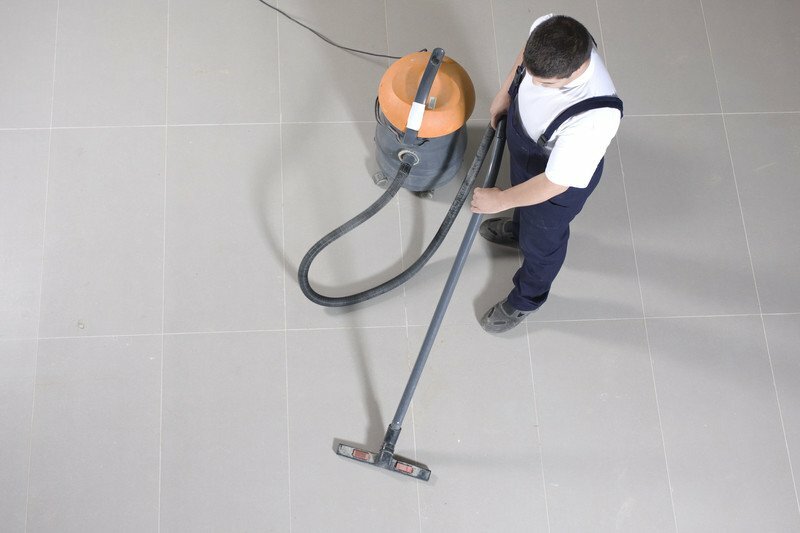 They clean for a living, and as such, they are experts in their respective field and industry. Keeping this in mind, you are guaranteed that not only will the job be done right, but it will be done right the first time. Being experts, they are driven to do the best job they can in an effort to meet and even exceed your expectations. The hiring of a commercial cleaning service is the best decision you can make for your business. You are assured that the job will be done right the first time, and your employees will not be diverted from their main focus—that of meeting your client’s needs.